Just because a car becomes outdated and old where you live, doesn't mean that's what happens around the world. Sometimes those same cars live on. Sometimes they are resurrected. Sometimes, they live a second life. Think of it like an automotive witness protection program. When a car goes out of production in one place, doesn't mean it's gone out of production everywhere. Sold in far-off lands far from where anyone in the original market will notice, these cars have continued on for years, even decades after they were first put on sale in their home markets. Often it's the result of one company wanting the benefits of the hard work of another, just without paying for all that pesky development work. Sometimes it's just ill-considered business ideas. And sometimes, it's genius. Yes, that's a Kia badge on what appears to be a Lotus Elan from the early 90s. The famously square car never sold in the insane numbers that its competitor, the Mazda MX-5 Miata did. 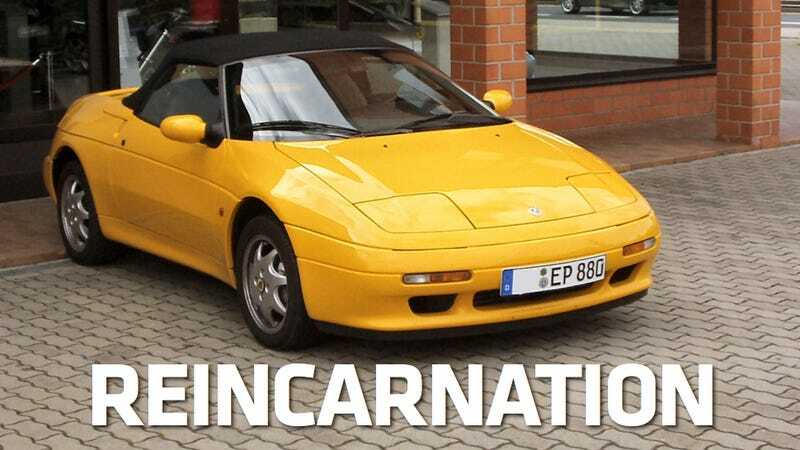 That didn't stop Kia from thinking it would do better off in Korean hands in the late 90s after Lotus was done with it. Kia changed the badges, the rear lights, and the ridiculously over-powered 160 hp Isuzu engine for one with 10 hp less, and called it a day. Very, very few sold outside the Korean market. Though the Peugeot Pars can't claim the title of Iran's National Car (that title belongs to the IKCO Samand), it can claim to be the zombie version of the Peugeot 405 from 1987. You may want to forgive Iran for their Iranian automotive dream consisting of a more than 25-year-old French car that's not even a Citroen, though, as I hear those sanctions can bite. As Jalopnik's very own Jason Torchinsky can attest, the Hindustan Ambassador is a fine little car, attracting a rating of 56, our highest review score of all time (I think). It originally started out as the Morris Oxford III, before being reborn in India in 1958. 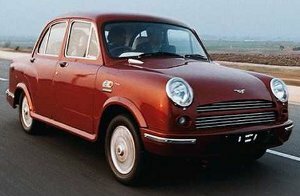 It's been in production ever since, mostly serving as a taxi, and in its latest incarnation is known as the Hindustan Ambassador Avigo. Don't worry though, despite a slightly revision it's essentially the same car. For a while it looked like its run would end with new emissions regulations, though sales this year have been up 96%. It even continued in production until 2012, though it's hard to see why. Even in poorer countries, other, newer options abound. Then again, we've been known to be sentimental about old Italian cars ourselves. "Sterling" is definitely an interesting way to refer to the reputation of this car. Though the car with which it shared a platform, the Acura Legend, became legendary, the Rover Sterling suffered. It started life as the Rover 800 series, which was the successor to the Rover SD1. When it was brought to the United States a year after it began production in Britain in 1987, it sold well before completely tanking. 1980's British labor practices led to corrosion, yawning chasms that passed for panel gaps, and Lucas electronics that all combined forces in an attempt to destroy the Sterling before it could become a common sight. To this day they remain relatively rare. If you see one, take a picture – though that may break it. What's your favorite automotive zombie? Let us know below in the comments!